One of Italy’s greatest dramatists, Eduardo De Filippo, died on this day in 1984 in Rome at the age of 84. An actor and film director as well as a playwright, De Filippo – often referred to simply as Eduardo – is most remembered as the author of a number of classic dramas set in his native Naples in the 1940s that continue to be performed today. Arguably the most famous of these was Filomena marturano, upon which was based the hit movie Marriage, Italian Style, which starred Sophia Loren and Marcello Mastroianni under the direction of Vittorio de Sica. De Filippo’s other memorable works included Napoli Milionaria, Le voci di dentro and Sabato, domenica e lunedi. All of these plays showcased De Filippo’s ability to capture the essence of life in Naples in his time, particularly in the working class neighbourhoods that he felt were the beating heart of the city. Rich in Neapolitan dialect, they were often bittersweet comedies of family life. They were social commentaries in which typical themes were the erosion of morals in times of desperation, the struggle of the downtrodden to retain their dignity and the preservation of family values even in the most poverty-stricken households. Born out of wedlock, the son of a playwright, Eduardo Scarpetta, and the seamstress and costumier Luisa De Filippo, Eduardo was destined for a life in the theatre and appeared in one of his father’s plays at the age of five. At 32 he formed his own stage company, the ‘Compagnie del Teatro Umoristico i de Filippo’, with his brother Peppino and sister Titina. The trio enjoyed success in films and on the stage in the 1930s but broke up soon after the Second World War. De Filippo, who had begun directing films in 1940, had some success as a director in the 1950s, his films largely light comedies. But it was his plays that were his enduring legacy, for which many critics place him among the greatest of Italian dramatists, in the company of Carlo Goldoni and Luigi Pirandello. Napoli milionaria (Naples Millionaire), written in 1945 is a realistic drama about a family's involvement in the Italian black market, set against the deprivations of war.He followed this with Questi fantasmi! (Neapoliitan Ghosts), a 1946 comedy in which a husband mistakes his wife's lover for a ghost. In the same year came Filumena marturano, in which a former prostitute obtains financial stability for her three children by persuading her lover he is the father of one of them, without saying which. De Filippo continued in 1948 with Le voci di dentro (Inner Voices), in which a man mistakes for reality a dream in which a friend is murdered by neighbours. His work became popular outside Italy. In 1972, with his own production company, he took Naples Millionaire to London. The following year, the National Theatre in London produced Saturday, Sunday, Monday, directed by Franco Zeffirelli, with Joan Plowright and Frank Finlay. It won the London drama critics’ award as the best play of the year. In 1979, Laurence Olivier directed Frank Finlay and Joan Plowright in Filumena. Later, Sir Ralph Richardson had the final role of his career, playing Don Alberto, in the National Theatre's 1983 production of Inner Voices. Filumena remains popular in Russia, where it is not forgotten that, in the 1960s in Moscow, the audience demanded and were granted 24 curtain calls after Eduardo's own company performed the work. 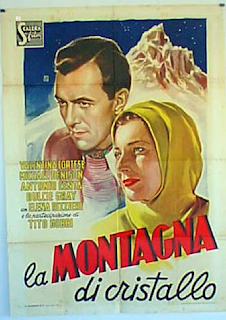 Napoli Milionaria, which opened at the Teatro San Carlo in Naples in March,1945, featuring Eduardo himself, became a film in 1951, with him in the leading role. It was also adapted as an opera with music by the film composer, Nino Rota, and a libretto written by Eduardo himself. It opened in June 1977 at the Festival of Two Worlds in Spoleto. 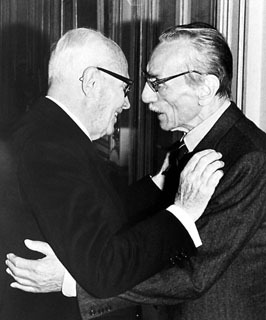 In 1981, De Filippo was appointed life senator of the Italian Republic. He died three years later. 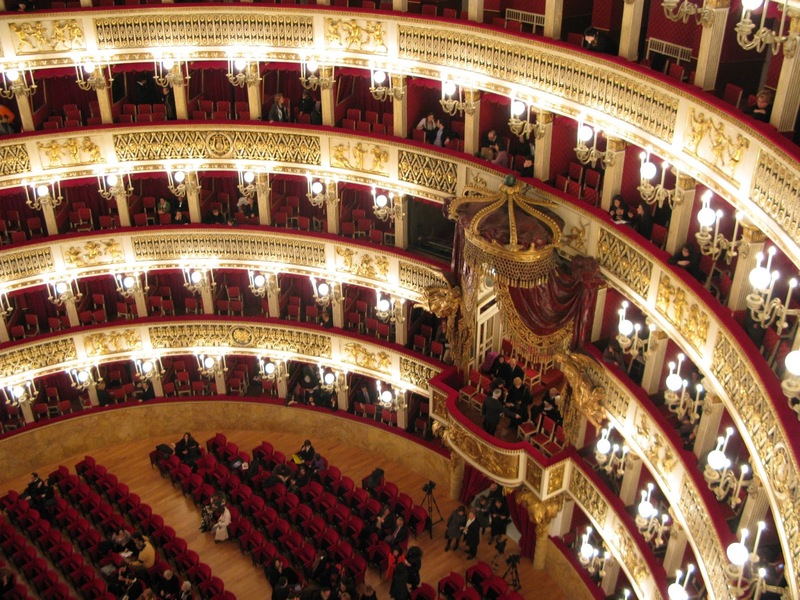 The Teatro San Carlo, Europe’s oldest theatre and opera house, suffered bomb damage during the war and its rebirth was a testament to the determination of Neapolitans not to allow their city’s heritage to be crushed. After one raid in 1943, the foyer that runs the whole length of the theatre suffered blast damage, many of the boxes were unusable, the dressing rooms were hit, the scenery and paint shop, the costume and wardrobe stores left beyond repair. Yet within a week the theatre was up and running again and staging musical productions. De Filippo’s play. Napoli Milionaria, which premiered there in 1945, was hailed for reflecting the city’s resourcefulness in the most testing of circumstances. 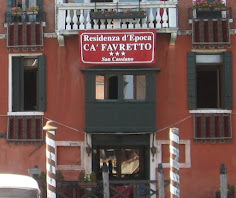 Although Italian spoken by Neapolitans is often clear and easy to follow if you have some acquaintance with the language, dialect is widely used and many words differ from standard Italian. For a tomato, for example, Neapolitans say pummarola rather than pomodoro; for boy or girl they use the word guaglio/a rather than ragazzo/a; and for this and that (questo e quello) they say chisto and chillo. In O Sole Mio, the famous Neapolitan song, the ‘O’ means ‘the’, as in ‘The sun of mine’ not ‘Oh sun of mine’. 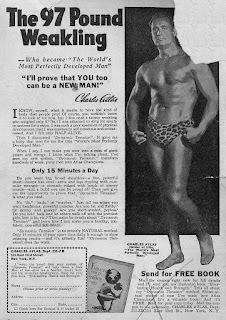 The bodybuilder Charles Atlas was born Angelo Siciliano on this day in 1893 in the Calabrian town of Acri. Acri, set 720m above sea level straddling two hills in the province of Cosenza, on the edge of what is now the mountainous Sila National Park, was a poor town and while Angelo was growing up his father, Santos, began thinking about joining the growing number of southern Italians who had gone to forge a new life in America. They made the move when Angelo was 11. 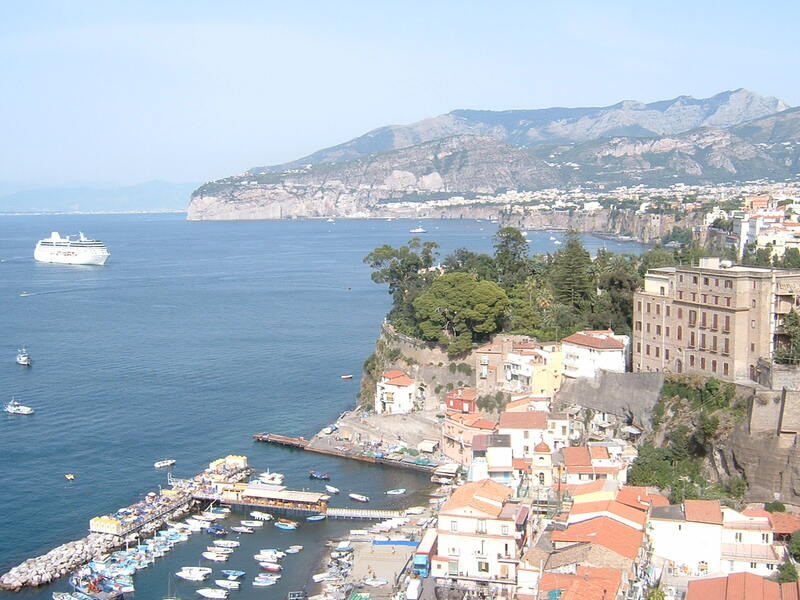 The journey by sea from Naples took around two weeks. After registering their arrival at Ellis Island, the immigrant inspection station in New York Bay, the family settled in Brooklyn. Most accounts of Angelo’s life suggest that his father, a farmer, returned to Italy within a short time but his mother remained, taking work as a seamstress and endeavouring to make a better life for her children. Angelo’s path to becoming Charles Atlas and enjoying worldwide fame began with a classic story of bullying. Like many Italian children of his time, having been born in part of the country where living conditions were difficult and good food was in short supply, he was sickly and scrawny, an easy target to be picked on. Humiliated at the beach by being knocked down by a physically stronger youth and having sand kicked in his face, Angelo was determined to build up his physique so that he might one day feel that no one could bully him. He was inspired by the statues of Hercules, Apollo and Zeus at Brooklyn Museum and began to train with home-made weights at his local YMCA. It was on a visit to the Prospect Park Zoo that he hit upon the idea that there might be another way to develop his body without using weights. It would become the foundation of his life and the business that would make him a wealthy man. It came to him as he marvelled at the physical magnificence of lions. While watching a lion stretch, he realized that the enormous animal was undergoing a natural workout by "pitting one muscle against another", harnessing his own strength to make himself stronger still. Back at home, Angelo began to devise isometric and isotonic exercises that required no weights, which had the effect of honing and strengthening his body remarkably quickly. Friends who noticed the change nicknamed him Atlas after the figure in Greek mythology who was required to carry the heavens on his shoulders. 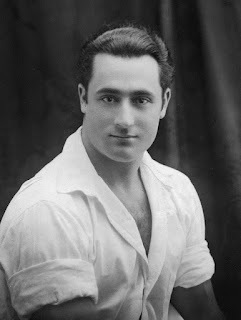 By the age of 19, Angelo was able to make money by selling a device he had made as a chest developer in front of stores in Manhattan, and performing feats of strength in vaudeville shows. Then he was introduced to New York’s community of sculptors who would pay him to be the model for numerous statues. The 97lb weakling he had dubbed himself when the bullies were doing their worst now weighed 180lb. He had a 47in chest, 17in biceps and 24in thighs - but a waist of just 32in. He won bodybuilding competitions, changed his name to Charles Atlas and opened a mail order business, selling his equipment and accompanying lifestyle guidance. It thrived for a while but his business sense was poor. He made poor decisions and spread himself too thin. It all changed, though, when he met Charles P Roman, a young advertising executive. They agreed that Angelo would concentrate on projecting his own body, making public appearances, demonstrating his equipment and performing stunts, while Charles diverted his focus to the business side of the partnership. Charles Atlas Ltd was incorporated in 1929. Roman coined the name ‘Dynamic Tension’ to describe the Atlas method and a year later wrote the copy for the company’s most famous ad, depicting a young man who follows the Atlas method and is able to avenge his humiliation at the hands of a beach bully who kicks sand in his face. 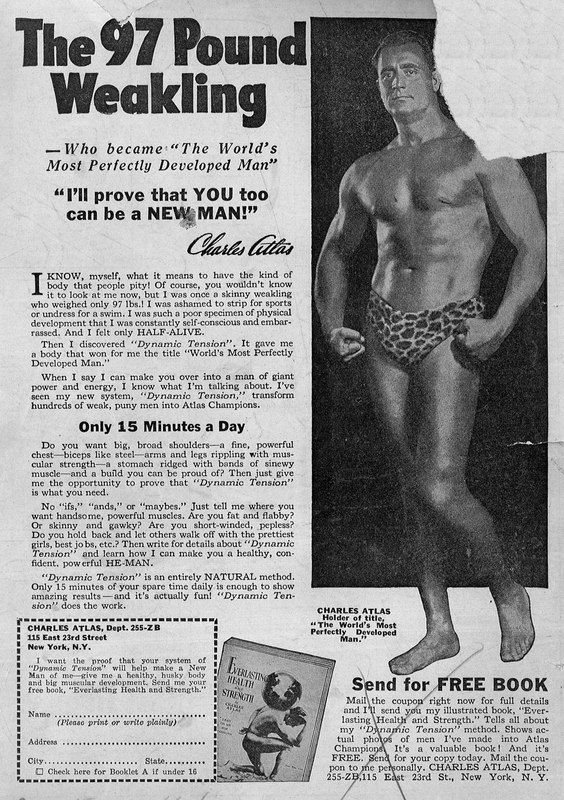 The business grew and prospered Charles Atlas became recognized as one of the world’s foremost bodybuilding experts. Baseball legend Joe di Maggio and boxer Rocky Marciano were among sportsmen who endorsed his products. He retired in 1970, selling his share of the business to Roman and settling for a quiet life in Long Island, where he bought a house at Point Lookout, overlooking the ocean. He ran along the beach each day and continued to exercise. Married with two children, he died at the age of 80 after suffering a heart attack. Acri is a town of around 21,000 inhabitants situated close to the Sila National Park and the beautiful Lago Cicita in the province of Cosenza. 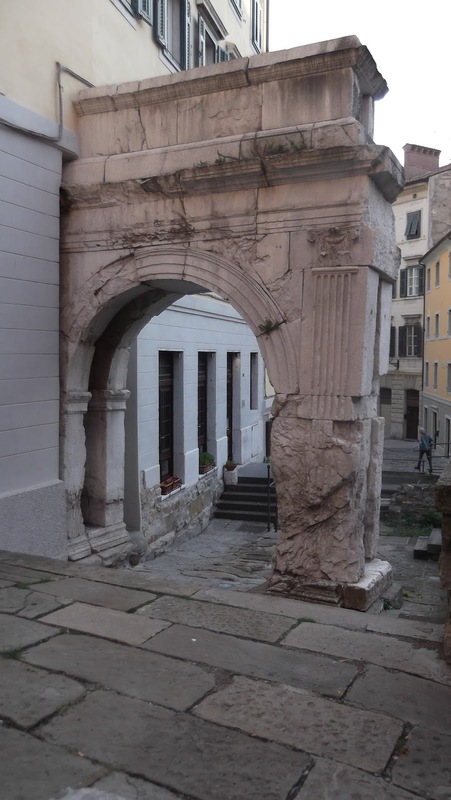 It has suffered a number of earthquakes over the centuries and a lot of its buildings are of relatively recent construction yet many historic buildings survive, including the medieval church of Santa Maria Maggiore, which was rebuilt in the 17th century. On top of one of its two hills is the single remaining tower of a medieval castle. 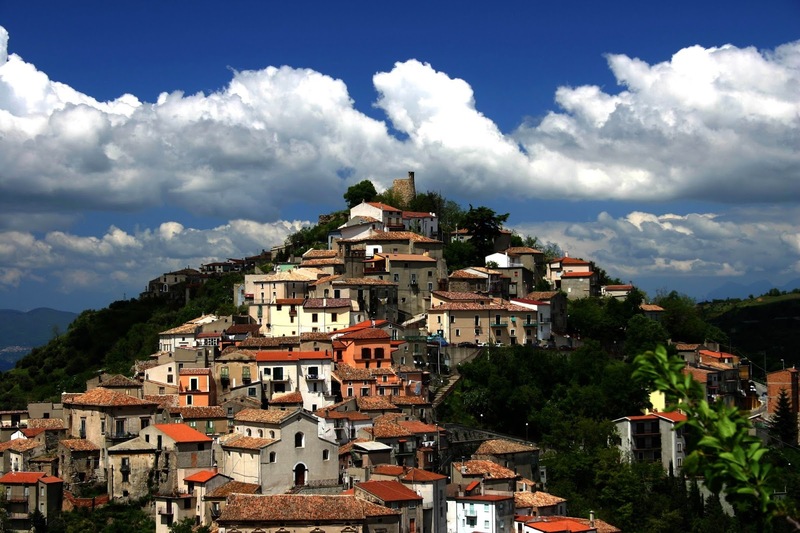 Cosenza, a city with an urban area in which more than 250,000 people live, combines a no-nonsense modern city with a small and atmospheric historic town built on a hill. The pedestrianized centre of the new city has sculptures by the likes of Dalí, De Chirico and Pietro Consagra. The old town boasts the 13th century Castello Svevo, built on the site of a Saracen fortification, which hosted the wedding of Louis III of Naples and Margaret of Savoy but which the Bourbons used as a prison. The great Italian tenor Franco Corelli died in Milan on this day in 2003 aged 82 after suffering heart problems. Corelli was renowned for the power and vibrancy of his voice, described by some as generating a 'white heat' on the stage when he performed. In a career spanning more than a quarter of a century he mastered all the major tenor roles and appeared at the greatest opera theatres in the world. He was a fixture at the Metropolitan Opera in New York, where he performed 19 roles over 15 seasons in some 365 appearances. As well as possessing outstanding vocal range, he used his natural assets – he stood 6ft 1ins tall and weighed 200lbs – to develop a charismatic stage presence. Blessed with movie star looks, he had the appearance of an opera-singing Errol Flynn. He was nicknamed the 'Prince of Tenors'. Corelli was born in 1921 in Ancona on Italy’s Adriatic coast, in a house just yards from the shore. His father was a shipbuilder for the Italian navy and as he neared adulthood it seemed that Corelli’s destiny was to pursue the same profession. He obtained a place at Bologna University to study naval engineering. It was while he was in Bologna that a friend dared him to enter a singing competition. He did not win but the judges were impressed enough with his voice to tell him that with proper training he could have a career as a professional singer if he wanted. Clearly, he had inherited some of the talent of his grandfather, Augusto, who had been an operatic tenor, and two uncles, who had both been in the chorus of the Teatro delle Muse in Ancona. 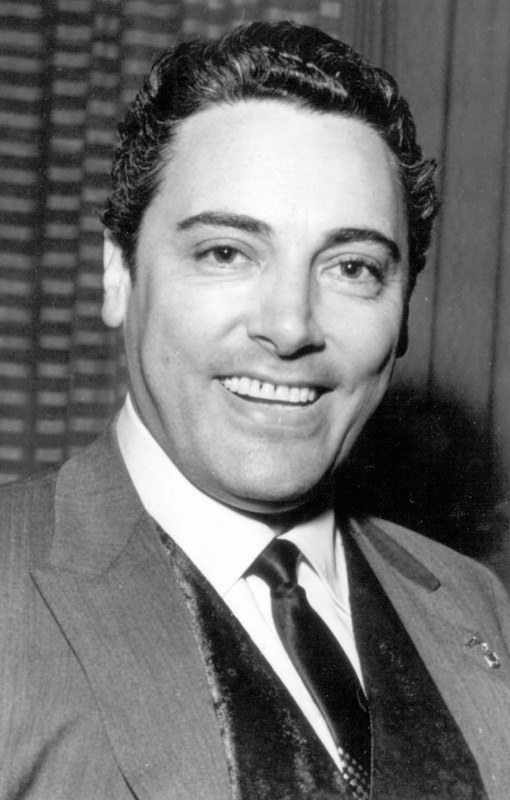 Although he took advice from the voice coach of another great tenor, Mario del Monaco, he was essentially self taught, identifying Enrico Caruso, Giacomo Lauri-Volpi and Beniamino Gigli among a small group of singers he chose to study. He developed a vocal power similar to that enjoyed by Del Monaco and after winning a competition at the Maggio Musicale festival in Florence made his opera debut at Spoleto in 1951 as Don Jose in Carmen. By 1954 he was performing opposite Maria Callas at Teatro alla Scala in Milan, gaining the respect of the brilliant soprano as a co-star whose acting ability matched hers. His debut at the Met came in 1961 in a production of Verdi’s Il Trovatore. Not all critics were fans. Like Del Monaco, he was accused of sacrificing finesse for power and found some opera writers expressed their disapproval after his debut at the Royal Opera House in Covent Garden in 1957, when in Act II of Puccini’s Tosca he stretched Cavaradossi’s defiant cry of ‘Vittoria!’ to a full 12 seconds to show how good he was at holding a high note. The audience was in raptures but critics panned him for showing off. Later in his career, it surprised no one that he should have behaved in such a way as he developed a reputation as someone who had a sharp sense of his own importance. Prone to temperamental outbursts, he was said to be incensed, during a Met production of Puccini’s Turandot in Boston, when the Swedish soprano Birgit Nilsson held a high ‘C’ for longer than he had. Later in the performance, Ms Nilsson claimed he took the opportunity presented by a scene in which he was required to plant a stage kiss her cheek to bite her on the neck, something Corelli denied but his co-star insisted was true. On another occasion at Teatro San Carlo in Naples he reacted to being heckled from a third-tier box by leaving the stage, in full costume as Manrico in Il Trovatore, climbing three flights of stairs and breaking down the locked door of the box with his shoulder, then waving his costume sword at the terrified occupant. It took the intervention of two ushers to restrain him. Ahead of any performance he was nervous and ritualistic, making it a contractual obligation on the part of the theatre to prepare him steak tartare with lemon juice and raw garlic, which he consumed immediately before going on stage with no regard for the sensitivities of his leading lady, whatever her stature. On the other hand, he neither smoked nor drank alcohol at any time. Away from performing, he had a taste for the high life. He modelled clothes for Town and Country magazine and had a passion for expensive cars and cameras. At one point during his years of fame in America he had a Jaguar, an Alfa Romeo Giulietta, a Lincoln Continental and a Cadillac in his garage and he could pick from any one of 12 cameras when he decided he wanted a day to indulge his interest in photography. In 1958 he met Loretta di Lelio backstage at the Rome Opera House and they married, at which point the fledgling soprano gave up her career to become his secretary, business manager, agent and translator. A forceful negotiator, she won him many lucrative contracts. 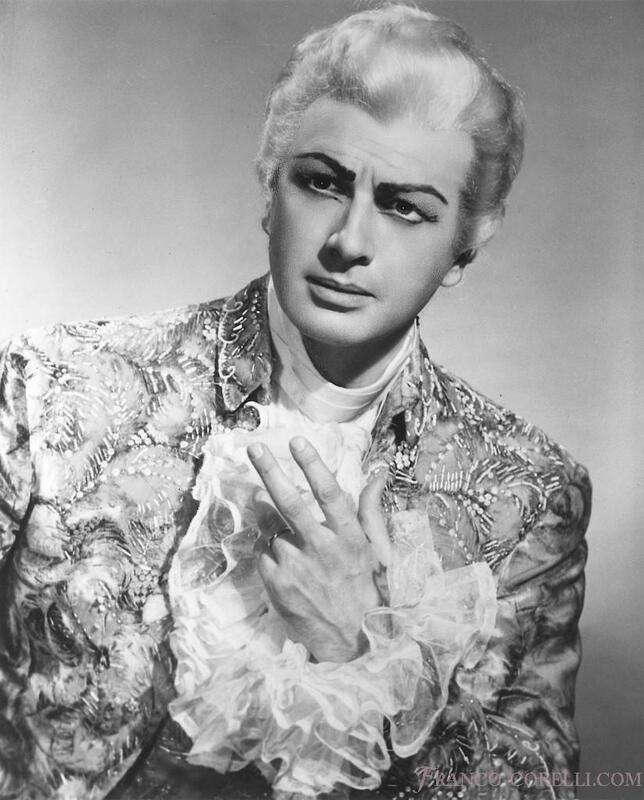 Corelli was at his peak between 1950 and 1970, after which he began to scale back his appearances sharply. He retired in 1976, having decided his vocal powers were beginning to decline and unwilling to expose his ego to the harsh criticisms that he knew would come if he overstayed his welcome. It was a wise decision, ensuring his place among the greats of opera would be preserved. 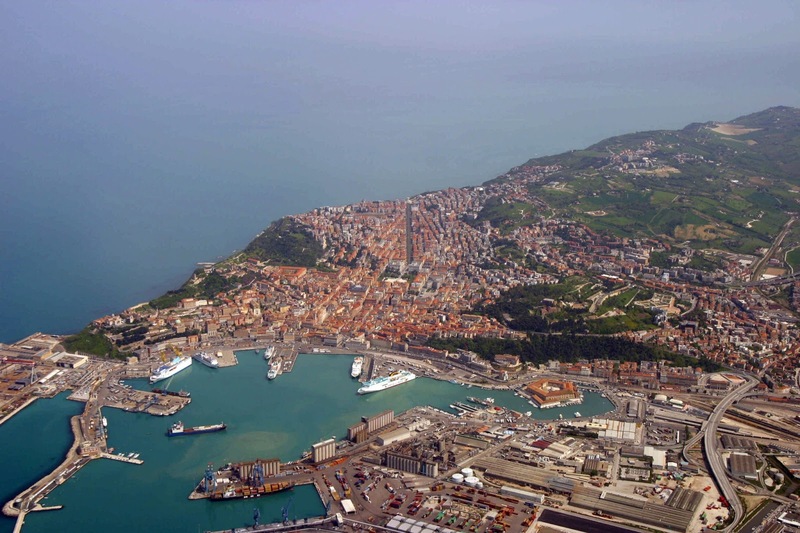 Ancona is the capital of the Marche region. A port city of more than 100,000 inhabitants, it is known for its beaches, such as the Spiaggia del Passetto, and for the 12th century Cathedral of San Ciriaco, which sits on a hilltop. The Fontana del Calamo, with bronze masks of mythic figures, is a feature in the city centre. 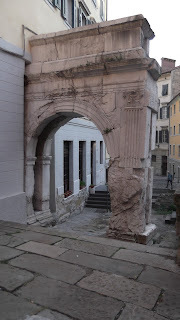 On opposite sides of the port are the ancient Arch of Trajan and the 18th century quarantine station, the Lazzaretto. The ancient city of Spoleto in Umbria, where Corelli made his stage debut, is famous for its Festival dei Due Mondi (Festival of the Two Worlds), founded in 1958, which is held annually in late June-early July. It has developed into one of Italy’s most important cultural events, with a three-week schedule of music, theatre and dance performances. The best-selling Italian singer and songwriter Eros Ramazzotti was born on this day in 1963 in Rome. 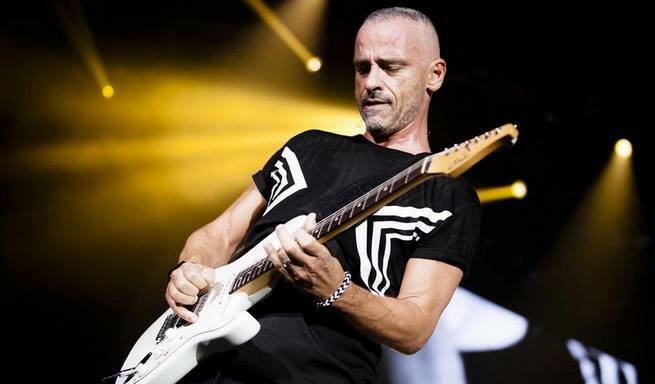 Ramazzotti, whose style has developed from pure pop to a contemporary soft rock genre with elements of classical crossover, has sold around 65 million records in a career spanning almost 35 years, putting him among the top 12 Italian recording artists of all time. He is popular throughout Europe and in Spanish-speaking countries in South America, so much so that he records most of his albums in Spanish as well as Italian. Among his 13 studio albums, three compilations and six live albums, 12 have reached No 1 in the Italian charts and 10 in the Swiss charts. In addition, Ramazzotti has had No 1s in Austria, Switzerland, the Netherlands, Belgium, Germany and Sweden. Twice - with 9 in 2003 and e2 in 2007 – he sold more records in that year in Italy than any other artist. Other major selling albums have been In ogni senso, Tutte storie, Dove c'è musica, Stilelibero and Calma apparente. His appeal is said to stem from his unique voice - a vibrant, slightly nasal tenor – his energetic delivery of catchy pop numbers and the passion he brings to often semi-autobiographical ballads, a genre very popular with Italian audiences who like songs with which they can identify. Ramazzotti was born in Cinecittà Est, a suburb of Rome that takes its name from the huge film studio complex that was built in the area in the 1930s and subsequently became the hub of the Italian movie industry. His parents, Rodolfo and Raffaela, named him Eros after the Greek god of love. They were not wealthy but bought him a guitar when he was seven and he began to write songs with his father, who played the piano, in his teens. Owing to a lack of musical background, his application to study at the Accademia Nazionale di Santa Cecilia, the pre-eminent music conservatory in Rome, was declined and his first serious work was as a bookkeeper. Occasionally, he appeared as an extra in films at Cinecittà, but his ambition was to be a pop star. His talent became clear in 1981 when he took part in a music contest, Voci Nuove di Castrocaro (New Voices of Castrocaro Terme) with the song "Rock 80". 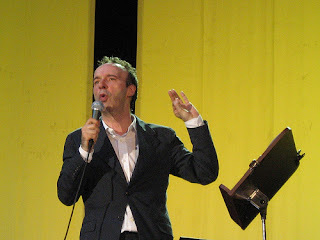 Although the contest was won by Zucchero and the female singer Fiordaliso, Ramazzotti reached the final and earned his first recording contract with a studio in Milan, moving to the northern city soon afterwards. His first single was not particularly successful but then his song "Terra promessa" (Promised Land) won the Newcomers' category at the 1984 Sanremo Festival. In 1985, Ramazzotti took part in the Sanremo Festival again with the song "Una storia importante" (An Important Story), taken from his debut album Cuori agitati (Troubled Hearts). He finished only sixth but the song was released as a single and became a hit in many European countries. His second album Nuovi eroi (New Heroes), released in 1986, gave him his first No 1 and the single from the album, "Adesso tu" (Now You) won Sanremo outright. Since then, his career has been one of almost unremitting success, with other performers eager to share the spotlight. 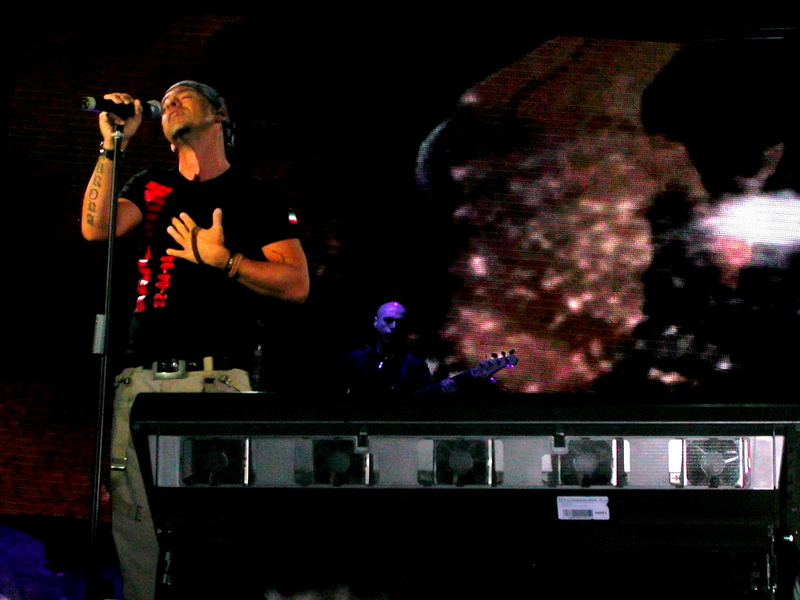 Ramazzotti has filled large venues performing alongside such stars as Cher, Tina Turner, Andrea Bocelli, Patsy Kensit, Anastacia, Joe Cocker, Luciano Pavarotti and Laura Pausini among others. Away from the stage and studio, Ramazzotti has led a very public private life. In 1998 he married the Swiss model and TV presenter, Michelle Hunziker, with whom he had already had a child, Aurora Sophie. 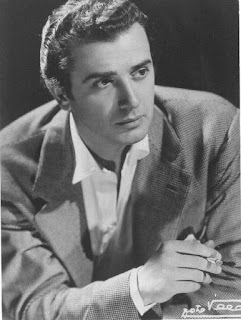 His hit song "Più bella cosa"(The best thing) was dedicated to Michelle, the follow-up single "L’aurora" (The aurora) to his daughter. They were considered the perfect couple but their marriage ended in divorce and a custody battle that the tabloids lapped up. In June 2014 Ramazzotti married Italian model and actress Marica Pellegrinelli, who is 24 years’ his junior. They have a daughter, five-year-old Raffaela Maria, and a son, Gabrio Tullio, aged 18 months. A football fan, despite his links with Rome and Milan he supports the Turin club, Juventus. 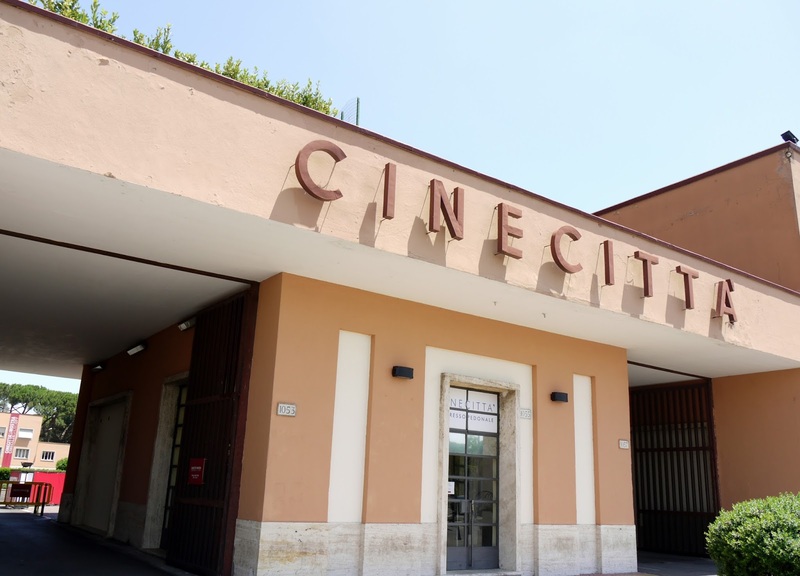 Cinecittà in Rome is the largest film studio in Europe, spreading over an area of 100 acres with 22 stages and 300 dressing rooms. Situated six miles south of the city centre, it is the hub of the Italian film industry. Built during the Fascist era under the personal direction of Benito Mussolini and his son, Vittorio, the studios were bombed by the Allies in the Second World War but were rebuilt and used again in the 1950s for large productions, such as Ben Hur. These days a range of productions, from television drama to music videos, are filmed there. Eros Ramazzotti’s first record company was based close to the commercial heart of Milan in Via della Spiga, which forms part of the so-called Fashion Quadrilateral, bordered by Via Monte Napoleone, Via Manzoni, Via Sant'Andrea and Corso Venezia. Via della Spiga is home to many designer stores. Roberto Benigni, whose performance in the 1997 film Life is Beautiful won him an Oscar for Best Actor, was born on this day in 1952 in rural Tuscany, around 20km south of Arezzo. 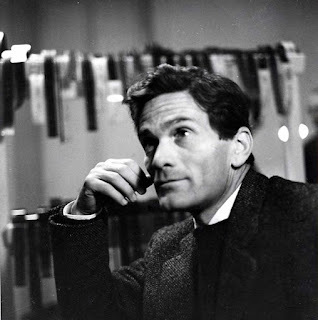 The Academy Award, for which he beat off strong competition from Nick Nolte (Affliction) and Tom Hanks (Saving Private Ryan) among others, put him in the company of Anna Magnani (1955) and Sophia Loren (1961) as one of just three Italian winners of best actor or actress. Benigni, who also directed Life is Beautiful, had won the Oscar for Best Foreign Language Film earlier in the awards ceremony, which delighted him so much he famously clambered on to the back of the seats of audience members in the row in front of his to lead the applause before stepping up to the stage to receive the award from Sophia Loren. When Helen Hunt called out his name for Best Actor - the first since Loren to win the most coveted prize with a foreign language film - he began his acceptance speech by apologizing for having "used up all my English", before proceeding to deliver another joyously emotional expression of gratitude. 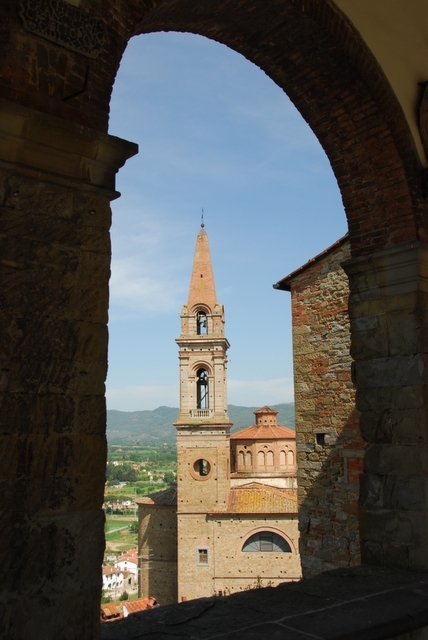 Benigni was born in the hamlet of Manciano la Misericordia, near the walled town of Castiglion Fiorentino. His family moved when he was six years old to Vergaio, a village near Prato, to which he made reference in his speech, thanking his parents, Luigi and Isolina, for "the gift of poverty", despite which he had a happy childhood and believes shaped his character and made him appreciate his good fortune all the more. He based Life is Beautiful, the story of a Jewish Italian bookshop owner who uses his comic imagination to shield his son from the horrors of internment in a Nazi concentration camp, in part on the experiences of his father, who spent almost three years in the Belsen concentration camp in Germany. Written in collaboration with Vincenzo Cerami, the film was attacked by some critics for presenting an unrealistic picture of the Holocaust which contained too little suffering, and suggested that "laughing at everything" was disrespectful to the millions of victims. 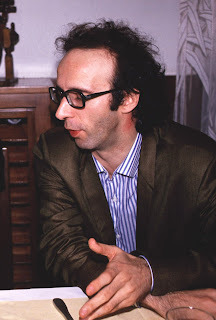 However, others praised Benigni for having the artistic daring and skill to create such a sensitive comedy against a background of dark, unparalleled tragedy. Before the huge fame the movie brought him, Benigni, who was raised as a Catholic and was an altar boy in his local church, had enjoyed relatively modest success in his acting and directing career. After studying initially to become a priest, a path he abandoned after the school he attended in Florence was damaged in the floods of 1966, he developed a fascination with a circus that was playing near his home and was offered work as a magician's assistant. 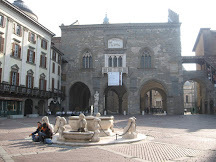 He had his first taste of theatre in Prato before moving to Rome, where he appeared in avant-garde theatre and became popular for his improvisation of epic poems, such as those of Ludovico Ariosto, Edmund Spenser and Dante Alighieri. It was in Rome that he met Giuseppe Bertolucci - brother of Bernardo - who cast him in a film entitled Berlinguer, I love You, that appealed to his Communist sympathies. Enrico Berlinguer was the leader of the Italian Communist Party. He appeared in a number of TV shows directed by Renzo Arbore, one of which was banned by the censors, and worked on films with Bernardo Bertolucci and Federico Fellini. The first of his nine films as a director was Tu mi turbi (You disturb me), a comedy that satirizes religion and the banking system. He also starred in the film opposite Nicoletta Braschi, an actress from Cesena with whom he became romantically involved. They have been married since 1991. 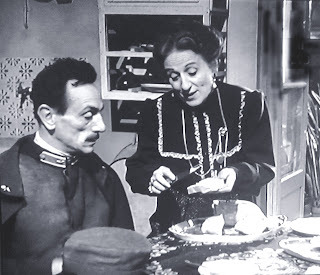 Braschi also appears in Life is Beautiful as the wife of Benigni's character. 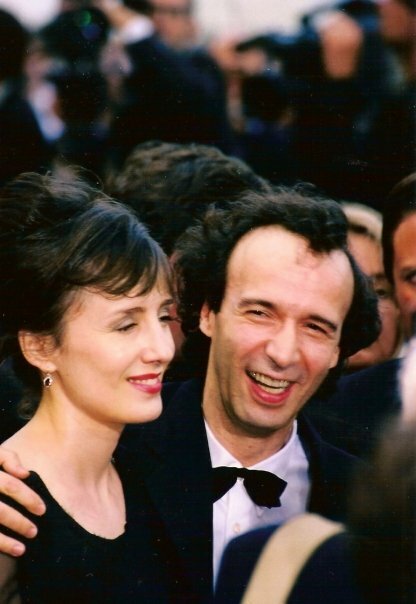 Benigni's two films after Life is Beautiful - Pinocchio and The Tiger and the Snow - played well with home audiences but were less well received outside Italy and in the 11 years since the latter he has not made another film, although he hinted recently that he has a new project in mind. He has remained successful on stage and television with his 90-minute one-man show TuttiDante, in which he has returned to his love of improvisatory poetry - a particularly Tuscan art form for which his father was an enthusiast. During the show, Benigni combines current events with his memories of the past in a passionate interpretation of Dante's Divine Comedy. No stranger to controversy, apart from his role in the Abore TV show that was taken off the air, he attracted headlines for appearing to call Pope John Paul II by an impolite name, for lifting a startled Enrico Berlinguer off his feet in an embrace at a Communist rally, and then for gatecrashing a TV news bulletin reporting on a protest against Silvio Berlusconi in which he had taken part, removing his shirt, draping it around the shoulders if the presenter and declaring (falsely) that Berlusconi had resigned. Arezzo, where much of Life is Beautiful is filmed, is a city in eastern Tuscany famous among other things for the frescoes of the artist, Piero della Francesco, in the 13th century church of San Francesco. The Legend of the True Cross, painted between 1452 and 1466, is considered to be one of Italy’s greatest fresco cycles. Arezzo is also the birthplace of the 14th century Renaissance poet, Francesco Petrarca, widely known by his English name, Petrarch. Apart from its 13th century walls, the Tuscan hill town of Castiglion Fiorentino, of which Manciano la Misericordia, Benigni's birthplace, is a frazione (parish), is notable for a handsome nine-arch loggia designed by the 16th century artist and architect, Giorgio Vasari, along one side of the Piazza del Municipio, which offers a beautiful vista looking out over the Val di Chio below the town. 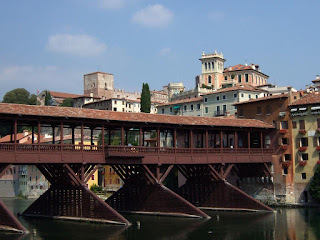 Vasari, who worked for the Medici family in Florence, designed the loggia at the Palazzo degli Uffizi and the Vasari Corridor, which connects the Uffizi with the Medici residence across the River Arno at Palazzo Pitti and includes the covered Ponte Vecchio bridge. 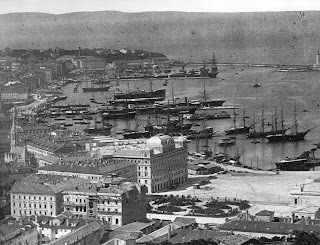 The beautiful seaport of Trieste officially became part of the Italian Republic on this day in 1954. Trieste is now the capital of the Friuli-Venezia Giulia region, one of the most prosperous areas of Italy. The city lies towards the end of a narrow strip of land situated between the Adriatic Sea and Slovenia and it is also just 30 kilometres north of Croatia. Trieste has been disputed territory for thousands of years and throughout its history has been influenced by its location at the crossroads of the Latin, Slavic and Germanic cultures. It became part of the Roman Republic in 177 BC and was granted the status of a Roman colony by Julius Ceasar in 51 BC. In 788 Trieste was conquered by Charlemagne on behalf of the French but by the 13th century was being occupied by the Venetian Republic. Austria made the city part of the Hapsburg domains in the 14th century but it was then conquered again by Venice. 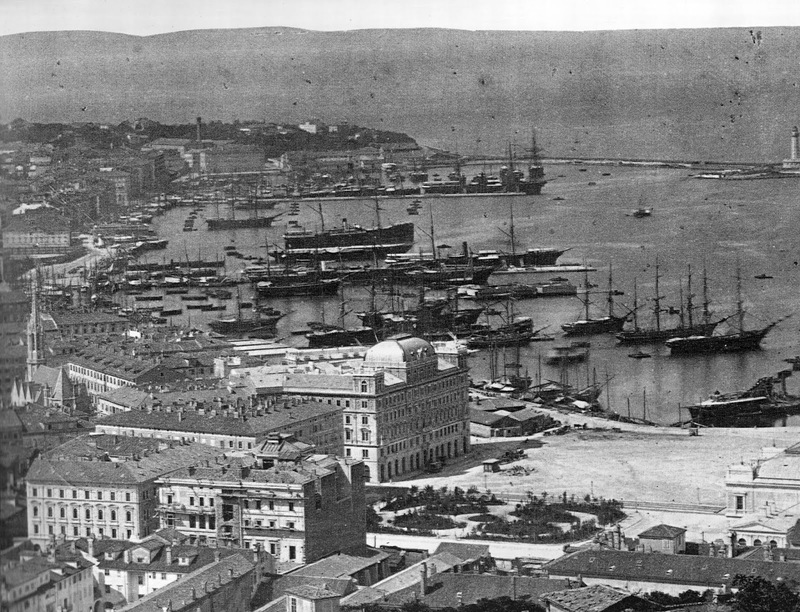 The Hapsburgs recovered Trieste in the 16th century and made it an important port and a commercial hub. Trieste fell into French hands during the time of Napoleon but then became part of Austrian territory again. Italy annexed Trieste at the end of the First World War after finishing on the winning side. By the 1930s, thousands of the resident Slovenians had left Trieste to go and live in either Yugoslavia or South America. During the Second World War the city was occupied by German troops but after briefly being occupied by communist Yugoslavia it was taken back by the Allies in 1945 and came under a joint British and US military administration. In 1947 the Paris Peace Treaty established Trieste as free territory. It was divided into two zones, one governed by American troops and one by Yugoslav troops. 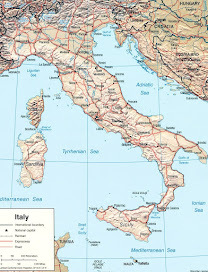 In 1954 the city of Trieste and part of the zone governed by the Americans was given back to Italy and the territory in the other zone was given to Yugoslavia. The final border with Yugoslavia was settled in 1975 with the Treaty of Osimo and this is now the present day border between Italy and Slovenia. 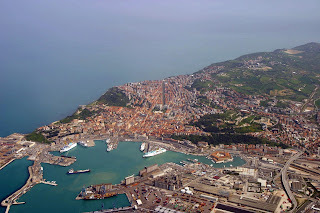 Today, Trieste is a lively and cosmopolitan city and a major centre for trade and ship building. In 2012, Lonely Planet called Trieste ‘the world’s most underrated travel destination’. It is a fascinating place to visit because of the Venetian, Slovenian, Austrian and Hungarian influences in the architecture, culture and cuisine. 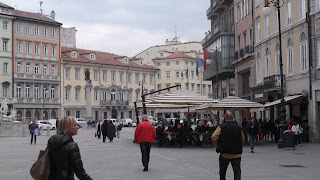 As well as Italian, the local dialect Triestino is spoken along with Slovenian, German and Hungarian. If you stroll along the sea front you experience the atmosphere of being in a major Italian port and there are many excellent fish restaurants to try. Away from the sea you will find restaurants serving traditional Italian, Friulian, Slovenian, Hungarian and Austrian dishes. Look out for Tocai Friulano, sometimes just labelled Friulano, which is a good quality, local white wine. 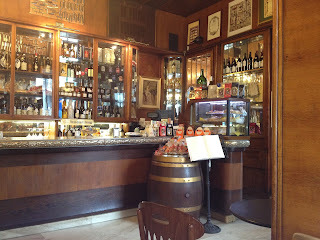 When in Trieste, visit one of the typical coffee houses that date back to the Hapsburg era, such as Caffe Tommaseo, the oldest café in the city. Or, find out why Irish writer James Joyce enjoyed living in Trieste for so many years by dropping into his favourite bar, Caffe Pirona. 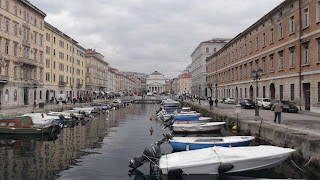 You could imagine yourself to be in Venice if you linger at a table outside one of the bars or restaurants at the side of Canal Grande, an inlet in the centre of Trieste with moorings for small crafts that is reminiscent of the Grand Canal. The inventor of the barometer, Evangelista Torricelli, died on this day in 1647 in Florence at the age of just 39. A disciple of Galileo, Torricelli made many mathematical and scientific advances during his short life and had an asteroid and a crater on the moon named after him. 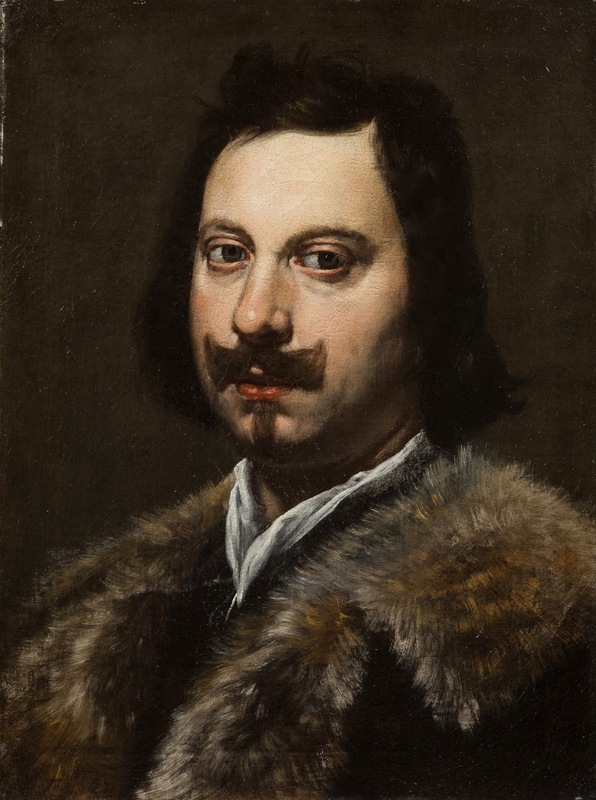 Torricelli was born into a poor family from Faenza in the province of Ravenna. He was given a basic education in Faenza and then sent to a Jesuit college to study Mathematics and Philosophy. He studied science under the Benedictine monk, Benedetto Castelli, a professor of Mathematics at the Collegio della Sapienza, now known as the Sapienza University of Rome, who had been a student of Galileo Galilei. Torricelli also became an admirer of Galileo and, after the great scientist’s Dialogues of the New Science were published, Torricelli wrote to him telling him he had read it with ‘delight’. Galileo was condemned by the Vatican in 1633 for his beliefs and held prisoner at his villa in Arcetri. For the last three months of Galileo’s life, Torricelli worked for him there as his secretary and assistant. After Galileo’s death the Grand Duke Ferdinand II de Medici asked Torricelli to succeed Galileo as Chair of Mathematics at the University of Pisa. In this role Torricelli solved some of the great mathematical problems of the day and described his observations in his book, Opera Geometrica. His work contributed to the eventual development of integral calculus. Torricelli was also interested in optics and designed and built telescopes and microscopes. But his most important invention was the mercury barometer, which he produced after he had discovered the principle of the barometer while trying to find a solution to the limitations of the suction pump in forcing water upwards. He designed a kind of vacuum pump using mercury. He filled a metre-long glass tube, closed at one end, with mercury and inverted the tube so that the open end rested on the bottom of a vessel containing more mercury. 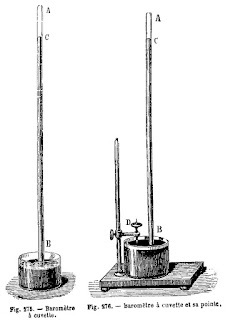 The mercury in the tube fell until it reached the point at which the weight of the mercury in the tube was balanced against the pressure exerted by air on the mercury in the vessel, leaving a vacuum at the top of the tube. Torricelli noted that the height of the mercury in the column varied from day to day, which he concluded was due to changes in atmospheric pressure. In 1644, he turned these discoveries into the first instrument to measure atmospheric pressure. Scientific terms such as the Torricellian tube and Torricellian vacuum are named after the scientist, as is the torr, a unit of pressure in vacuum measurements. Torricelli’s Law refers to the speed of a fluid flowing out of an opening and Torricelli’s Trumpet relates to mathematical discoveries he made about infinity. Torricelli died in Florence ten days after his 39th birthday and was buried at the Basilica of San Lorenzo. Several Italian submarines have been named after Torricelli in honour of his work. 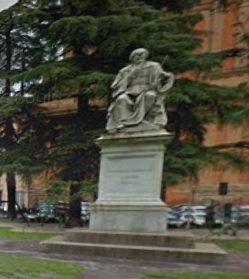 A statue of Torricelli was erected in 1868 in Faenza, the city where he was born and educated, in recognition of all he had done to advance science during his short lifetime. The white marble statue can be found in the park of San Francesco in Corso Giuseppe Garibaldi. 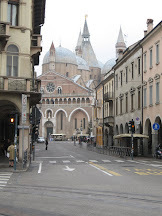 Faenza is in the Emilia-Romagna region, about 50 kilometres south east of Bologna. 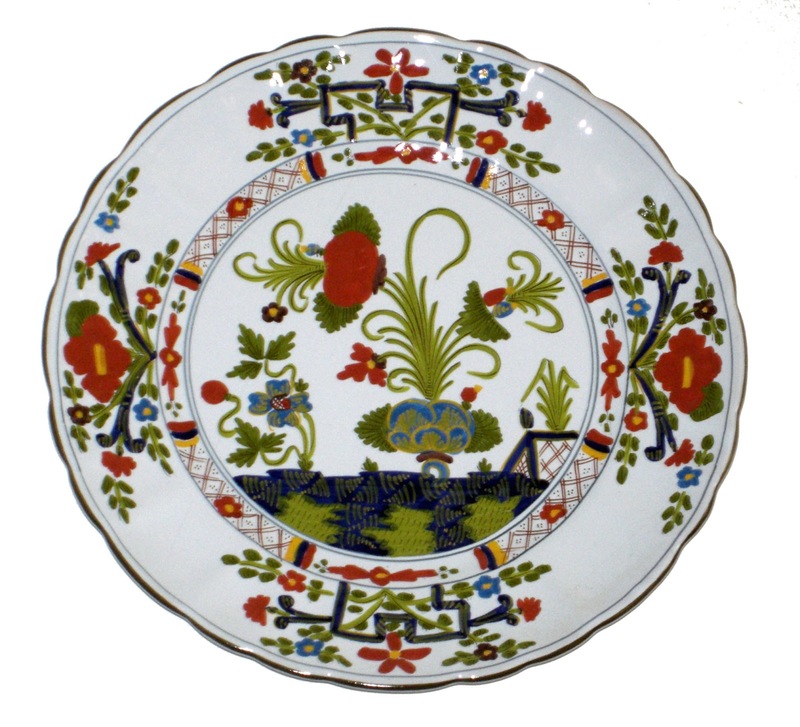 The city is famous for the manufacture of a type of decorative majolica-ware known as faience. 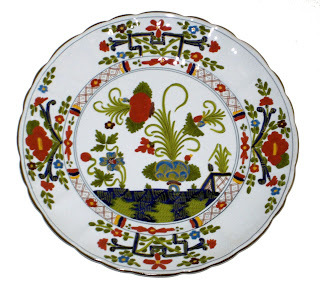 It is also home to the International Museum of Ceramics, which has examples of ceramics from ancient times, the Middle Ages and the 18th and 19th centuries as well as displaying work by important contemporary artists. The museum is in Viale Baccarini in Faenza. For more information visit www.micfaenza.org. 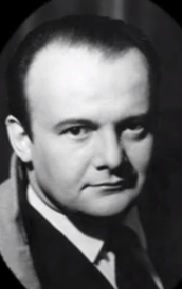 Opera singer Tito Gobbi was born on this day in 1913 in Bassano del Grappa in the Veneto region. He had a career that lasted 44 years and sang more than 100 different operatic roles on stages all over the world. Gobbi also sang in 25 films and towards the end of his career directed opera productions throughout Europe and America. His singing talent was discovered by a family friend while he was studying law at the University of Padua, who suggested that he studied singing instead. As a result, Gobbi moved to Rome in 1932 to study under the tenor, Giulio Crimi. At his first audition he was accompanied at the piano by Tilde De Rensis, the daughter of musicologist Raphael De Rensis. She was later to become Gobbi’s wife. Gobbi made his debut in 1935 in Gubbio, singing the role of Count Rodolfo in Vincenzo Bellini’s La sonnambula, and then went to work for a season at La Scala in Milan as an understudy, which gained him valuable experience. He made his first appearance on stage there as the Herald in Ildebrando Pizzetti’s Orseolo. In 1942 he sang the role of Belcore in Donizetti’s L’elisir d’amore at La Scala, conducted by Tullio Serafin. Gobbi was guided by Serafin in preparing roles, which was to be invaluable later in his career when he was cast as Scarpia, Rigoletto and Simon Boccanegra. He began working in films as early as 1938 when he appeared in Cilea’s L’arlesiana with Licia Albanese. 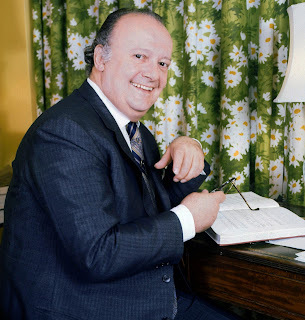 After the Second World War, Gobbi’s international career took off and he sang at the Royal Opera House in Covent Garden, the Lyric Opera in Chicago and the San Francisco Opera house. 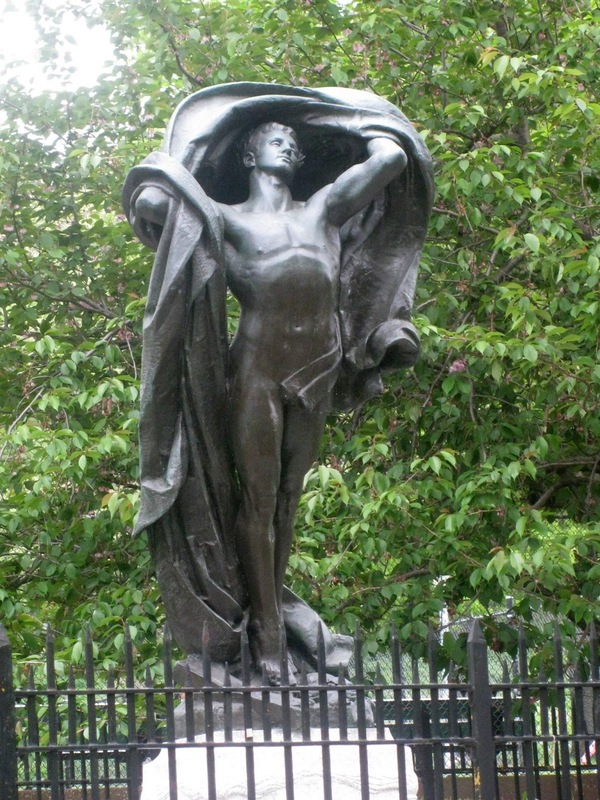 He made his debut at The Metropolitan Opera in New York as Scarpia in Tosca. His screen appearances continued and he starred with Anna Magnani in a contemporary drama released in 1946, Avanti a lui tremava tutta Roma (Before Him All Rome Trembled), a story which sees a group of opera singers appearing in a production of Tosca in Rome in 1944 simultaneously taking part in Italian resistance actions against the Germans. 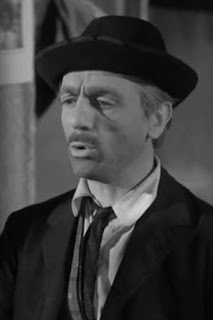 Gobbi's performance in 1949 in the British film, The Glass Mountain, which was set in wartime Italy, made him known to a much wider audience. The theme music, Legend of the Glass Mountain, which became a contemporary hit, was by the Italian composer Nino Rota. In the 1960s, Gobbi began directing, staging Verdi’s Simon Boccanegra at both Covent Garden and in Chicago. He directed Otello in California, Chicago and Thessalonika in Greece and Gianni Schicchi by Puccini in Florence, at the Edinburgh Festival, and in Chicago, Zurich and Monaco. Gobbi estimated that he had sung the part of Scarpia in Puccini’s Tosca nearly a thousand times. He sang it in Franco Zeffirelli’s production of the opera at Covent Garden in 1964, when Maria Callas sang the title role and Act Two was broadcast live on British television. Gobbi and Callas had previously sung Tosca together in a 1953 recording of the Opera in Milan, when Giuseppe di Stefano sang Cavaradossi. That recording, which has been reissued on CD, is considered the finest recording of a complete opera ever made. In retirement the singer wrote two books, Tito Gobbi: My Life and Tito Gobbi on his World of Italian Opera. After retiring in 1979, Gobbi died in Rome in 1984 at the age of 70. Bassano del Grappa, where Tito Gobbi was born, is an historic town at the foot of Monte Grappa in the Vicenza province of the Veneto, famous for inventing grappa, a spirit made from the grape skins and stalks left over from wine production, which is popular with Italians as an after dinner drink to aid digestion. 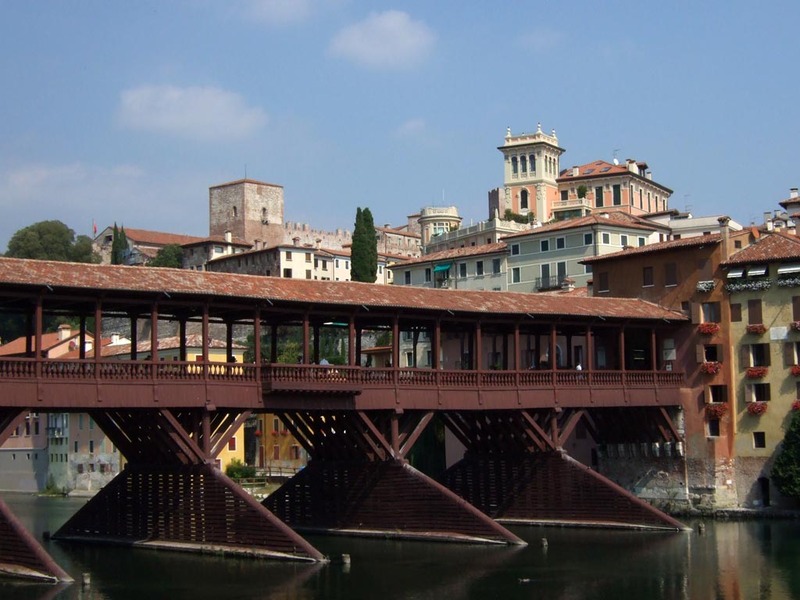 A famous sight is the Ponte degli Alpini, a bridge designed by Andrea Palladio. The painter Jacopo Bassano was born in Bassano del Grappa and took his name from the town. Gubbio, where Tito Gobbi made his opera debut, is a town in the province of Perugia in Umbria, with some fine medieval architecture in the narrow streets in the centre. Gubbio is well-known for its annual foot race, Corsa dei Ceri, held on 15 May. Three teams, devoted to Sant’Ubaldo, San Giorgio and Sant’Antonio, run through the town and up the mountain carrying a statue of their saint mounted on a tall wooden stand. A similar event is held each year in Jessup, Pensylvania, when residents race statues of the three saints through the streets.